Are you an in-house editor thinking of striking out on your own? Are you considering a career change and want to know if becoming a freelance editor is right for you? In this panel, three freelancers specializing in the written word will share their experiences, provide feedback, and offer advice on starting (or maintaining) your freelance business. Topics to be explored include the benefits and hazards of working for yourself, finding work and getting paid, professional development, work-life balance, and networking. Attendees will be given the opportunity to ask questions of the panellists. 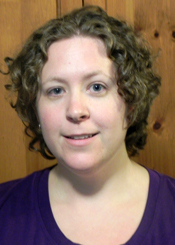 Gillian Buckley has been a freelance editor since 2007. She's worked with clients ranging from publishing companies and self-publishing individuals to law firms, consulting firms, and regulatory bodies. Gillian has served on the executive for EAC's Toronto Branch and is looking forward to this year's EAC conference happening in Toronto. Vanessa Ricci-Thode is a freelance editor specializing in genre fiction, with a particular interest in fantasy, horror, humour, and science fiction. She is also an author, with her first novel, Dragon Whisperer, released by Iguana Books in the spring of 2013. As Vanessa developed her craft as a writer, she sought a career that would complement her love of books and eventually found her way into editing. As an EAC member, she has written articles for the Toronto branch's Edition newsletter and helped launch the KWG twig, where she served a term as one of its coordinators. 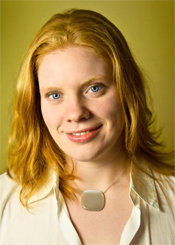 She is also an active member of the Canadian Authors' Association, working to bring opportunities for writers to the Waterloo-Wellington region. 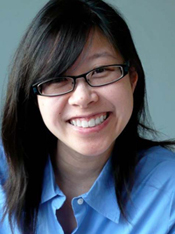 Jaclyn Law is a writer and an editor with over 15 years’ experience. For four years, she was a researcher and copy editor at Chatelaine. She was also the managing editor of Abilities for four years. Since becoming a full-time freelancer at the end of 2006, Jaclyn has worked with a wide variety of consumer publications, websites, non-profit organizations, and companies. She has given workshops about copy editing for the Alberta Magazine Publishers Association and Canadian University Press, and she was the copy editing instructor for the Summer 2011 issue of the Ryerson Review of Journalism. Jaclyn is the president of PWAC Toronto Chapter.